This book is only for informational purposes. It is not intended to be a substitute for medical or other professional advice, nor the author intends to give medical advice contrary to that of an attending physician. Its main goal is to trigger the refractive candidate finding straightforward must-ask questions to ask his Surgeon and help him understand aspects of this kind of surgery, which would better be revealed before, than after the procedure. 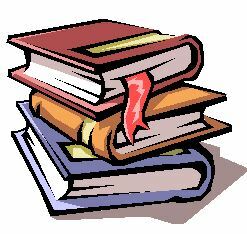 The information in the following pages does not replace your refractive surgeon but attempt to provide scientific knowledge in a practical and simple way. In that way your questions to the eye doctor are more accurate deserving also fully explained answers, which help you make a good well informed choice. This book only represents the author’s personal opinion and experience and is not to be regarded as personal or medical advice. Best of both worlds …PRK OR LASIK? PRK and LASIK is a practical simple guide to help you understand step-by- step excimer laser refractive correction. Get the opportunity and read this e-book that will accurately answer your questions about this kind of surgery. Find out the basics of LASIK and PRK. It will help you ask your physician or surgeon important and significant questions before undergoing the surgery. Your final decision will then be made based on a realistic understanding. Is everything clear about refractive surgery? What questions should the refractive candidate ask? What about the rest of the refractive procedures? What should the refractive surgeon do? For how long does the good result last? Is excimer laser correction safe? What should the patients keep in their mind? PRK or LASIK and when? 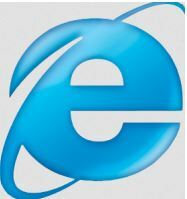 Is web given information confusing and sometimes misleading? Excimer laser is a very popular surgical way to get rid of contacts or eyeglasses. It is one of the most common surgical procedures performed in the world today, involving otherwise healthy adults of almost every age between 18 and 68. Just type the word Lasik into any search engine and you will have immediately in front of your eyes innumerous links to web pages providing information about refractive surgery. Refractive surgery candidates are healthy individuals with healthy eyes having nearsightedness or farsightedness with or without astigmatism. Since Excimer laser refractive surgery is not only popular but also a profitable, commercially promoted, surgical procedure, it is extremely important to underline what the candidates should take under consideration before their final decision in a practical way. 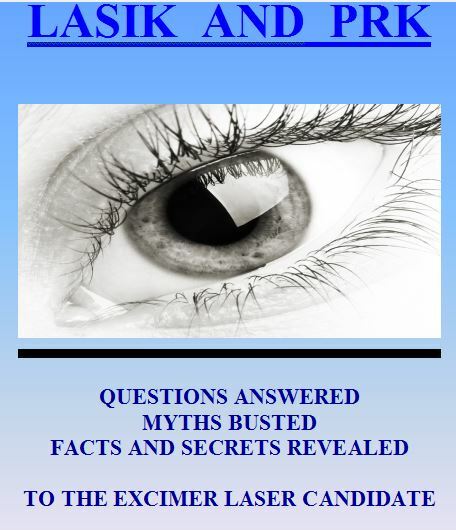 This book answers the most frequently asked questions in a comprehensive and simple way. A lot of refractive Candidates wonder why two or even three different eye surgeons have different approaches to the way they would choose to correct a certain refractive error. The Candidates are confused and they complain because they do not really know which approach would be the best for them. This book gives answers to the most important questions, trying to simplify the information and become a guide to help you understand and take the right decision. For example in my opinion, when refractive surgery procedures are listed, Lasik and PRK should not be followed by phakic intraocular lens insertion as an easy to choose alternative. This creates the misleading impression to the candidates, that they can actually pick up the latter surgical procedure imagining that it has the same degree of acceptance and easiness as Lasik and PRK. This is no true… Lasik and PRK have nothing to do with phakic intraocular lens insertion or clear lens extraction… Lasik and PRK are widespread worldwide accepted laser techniques performed on the surface of the cornea, while phakic intraocular lens insertion or clear lens extracrion are intraocularly performed surgeries…we must take under consideration that refractive surgery candidates are healthy individuals with healthy eyes and usually younger than 50 years old. Most of the web pages try to extensively cover all aspects of Excimer laser surgery in particular, and refractive surgery in general, in a way, that the candidate usually gets confused and misses the most important key points that affect their actual understanding of refractive surgery itself. A photo from the past: Radial keratotomy with astigmatic keratotomies. Is refractive surgery treated in reality as a commercially sold product? Is information given in a complex manner? Is the refractive surgery candidate a real patient? Modern marketing strategy promotes aesthetic type surgical procedures like commercial products. This occasionally leads to an undesirable outcome, because a surgical procedure always has possible side effects. Excimer Laser Refractive surgery is not an actual cosmetic procedure but it carries characteristics of this kind of operations . Doctors’ (often free) consultations, Commercials and other people experiences are the three most common ways to attract new patients in a doctor’s practice. 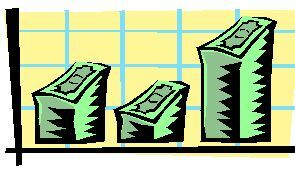 Modern market is based on complex rules with a main goal, the profit increase. Consultation quality depends on the doctor’s desire to convince the candidate to undergo the excimer laser procedure. 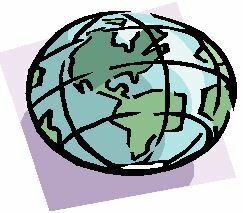 Today’s trend is that information complexity wins over information simplicity. This occurs unintentionally (due to inability to simplify) or intentionally (because informative confusion may be a desirable marketing target). First of all we have to keep in our mind and especially the candidates themselves that they are not really patients. They are healthy, they have healthy eyes although they wear contacts or eyeglasses and want to get rid of them. Excimer laser candidate does not feel like being a patient and definitely does not want to become a real one ever! Is excimer laser correction (PRK and LASIK ) the most frequently performed and important refractive surgery procedure? At first refractive surgery used mainly incision techniques like radial and astigmatic keratotomy to achieve refractive correction through the alteration of the corneal shape. Real spreading of refractive surgery occurred after the appearance of Excimer laser. Excimer laser refractive surgery is not new. It has been used for nearsightedness correction since 1980 and today modern laser machines corrective abilities have been extended to all the refractive spectrum including nearsightedness (myopia), and farsightedness (hyperopia) with or without astigmatism, demonstrating excellent results. Therefore incision techniques have been almost abandoned. Today’s refractive surgery is well known because of Excimer laser. Actually today’s refractive surgery is and should be mainly considered as excimer laser refractive surgery. Other more surgical intraocular techniques found their way in the field of refractive surgery favored by Excimer laser correction, without deserving this to the extend that the Excimer laser does. Reference to other less common refractive surgery techniques creates confusion to the candidate. PRK changes the shape of the anterior central corneal stroma by using excimer laser ablation at the front of the eye, just under the epithelial cells. These cells, which form the outer layer of the cornea, are mechanically removed prior to the ablation. TRANS- PRK or Transepithelial Photorefractive Keratectomy acts by using excimer laser at the front of the eye, for both epithelial cells removal and corneal stroma shape change. LASIK uses a microkeratome to create a corneal flap. 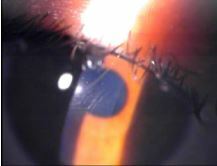 The flap is lifted and then, the shape of central corneal stroma is changed by means of excimer laser ablation. The flap is subsequently returned into position. LASIK (standard or Conventional): Similar procedures = femto lasik, custom Lasik. Femto lasik uses femtosecond laser (femto lasik or intralasik) to create the corneal flap. The flap is lifted and then, the shape of central corneal stroma is changed by means of excimer laser ablation. The flap is subsequently returned into position. Custom Lasik uses laser-ablation planned on the morphology of each individual eye. Custom lasik can be wavefront guided or topography guided and is rarely used when special refractive aberrations also need to be corrected, especially in retreatments. 3.Intraocular lenses in healthy phakic eyes (ICLs, PIOL). Ask and search before accepting to undergo intraocular lens insertion in healthy eyes. Potential side effects occur even after a lot of years. 4.Clear lens extraction Ask and search before accepting to undergo clear lens extraction. It is an intraocular surgery and actually the same procedure as cataract extraction, performed for high myopia correction with retinal detachment risks. 6.ReLEx under clinical evaluation and not spread. 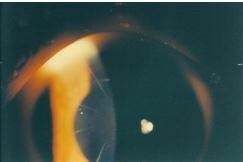 A lenticule is cut with femtosecond laser within the corneal stroma. A LASIK-like flap is then cut which can be lifted to manually remove the lenticule with a blunt spatula and forceps. 7. Intracorneal rings (ICRs) abandoned on healthy eyes. For the above reasons we will speak mainly about two procedures: PRK and LASIK. PRK and Lasik are the most common and acceptable refractive surgery techniques performed on usually young patients’ healthy eyes today. Are all patients eligible for excimer laser refractive correction? Is sometimes the best and safest solution not to DO ANYTHING AT ALL? What is the optimal range of refractive errors that should be treated with excimer laser? What factors determine if a candidate is suitable for excimer laser correction? Otherwise you could always choose among several other procedures like in a super market…but HAVE YOU FORGOTTEN TABLE 1 ? 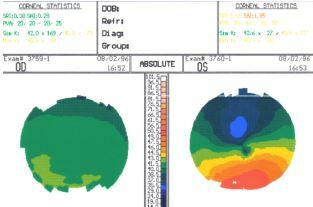 Patients with keratoconus or irregular astigmatism, evolving cataract, younger age less than 17 years old, unstable refraction, one-eyed or amblyopic patients with BCVA less than 20/40, severe dry eyes, thin corneas or glaucoma. Uncontrolled diabetes, uveitis or collagen disease, pregnancy, herpes zoster, perfectionism, psychic disease, treatment with isotretinoin or amiodarone etc. Who are the best candidates for excimer laser surgery? Laser eye surgery can of course correct near-sightedness, far-sightedness and astigmatism . but to a certain degree. The patient should be fully informed about the statistically expected refractive postoperative outcome, which is a function of the patient’s age, the kind and amount of the preoperative refractive error. Patient selection should be in accordance with the accepted indications. Complications occur when surgeons operate on patients who are not appropriate candidates. Refractive surgeon’s target is to exclude candidates with contraindications to undergo excimer laser correction and to perform the chosen refractive technique properly. Preoperative best corrected vision (BCVA) is a very important factor influencing the decision whether or not refractive surgery should be performed. 20/70 uncorrected vision leaves the patient dissatisfied. Is excimer laser correction prettified as a procedure? What should the refractive surgeon do in order to achieve a long lasting outcome? Should you wait at least until 30 to undergo excimer laser correction? Is Excimer laser surgery a very easy procedure and not real surgery? Is Excimer laser surgery a very dangerous , risky procedure? Will glasses be needed again after excimer laser correction? Do the patients fully realize during preoperative consultation the statistics of the refractive procedure itself? 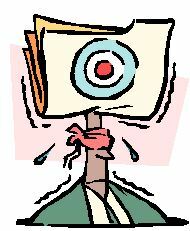 Will 20 / 20 uncorrected Vision or even ‘super’ vision be achieved? Does Technology play a significant role? Are Patients after excimer laser correction able to wear contact lenses if needed again? 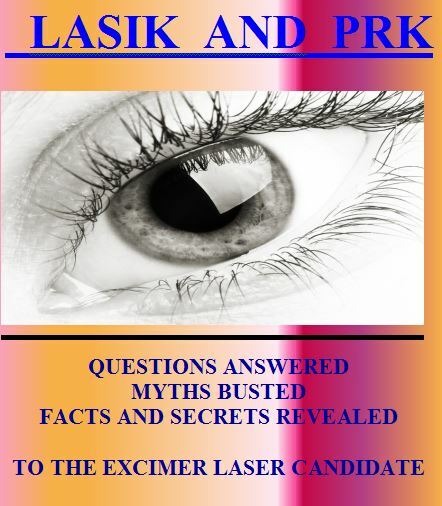 Do the candidates prefer LASIK or PRK? Patient’s accurate information, his knowledge and understanding of the facts as well as the myths, is the first important step for a successful excimer laser correction. This will lead to his correct final decision to undergo or not the procedure. He should then decide if he should undergo PRK or Lasik…Finally he has to understand that possible ocular pathology unrelated to excimer laser might statistically develope in the future. I have performed some Web research regarding to the way excimer refractive laser surgery promoted by professionals…I realized that the willingness to be distinguished among the others competitors may easily cross some limits. So the outgoing picture for marketing reasons prettifies the whole process and does not accurately reflect the real world issues. Refraction stability is required. Is my refraction stable? Fact: Refraction stability is actually a myth…Refraction is not absolutely stable…why should it be? According to the Greek philosopher Heraclitus: ‘πάντα ρει’ … Translated it means that absolutely nothing remains stable…The same applies to refraction. The meaning of these findings is that from 20s to 40s the mean myopic shift in myopes reaches – 1.28 D! This increase is not huge but more than enough to turn a patient that has undergone excimer laser surgery, in the years to come, from happy to unhappy. In higher amounts of myopia the myopic shift tends to be even higher. The term stable refraction is not correct. Furthermore in the early 50s the crystal lens age- related alterations create also myopic changes especially in moderate to high myopic eyes. The guideline:”Your eyeglass prescription should be stable (less than +/-0.50 diopter change) for one year or more before proceeding with surgery” does not accurately show the actual refractive state trend for changes over time. Should we then forget all about refractive surgery and be happy with our glasses and contacts? The answer is again no. Because of one fact and one trick! A) The fact is that we all get older. That means that as we reach and pass 40s our accommodation weakens and presbyopic difficulties start. So even if we had the refractive correction in the early 30s we are still happy with our result, because we can still maintain fairly enough good distance vision and at the same time the need for near vision glasses is delayed due to our myopic shift. B) What’s the trick? It is very important that the younger myopes should be overcorrected by the excimer laser at least to the +0.50 level. After all most younger myopes have overcorrected eyeglasses because they themselves prefer to be overcorrected and see the things bolder…+0.50 overcorrection does not create other symptoms. From what I conclude from thousands of my patients undergone excimer laser surgery is that a plano initial refraction changes towards myopia within the first decade postoperatively. The eyes change over time, but in most cases the patients are happy because of the initial targeted overcorrection. 2) New myopia born: From 20s to 40s in myopes the mean myopic shift reaches 1.28 D .
I should wait at least until 30 to undergo excimer laser correction. Fact: the candidate should not wait too long for excimer laser surgery… Since we can use the trick of overcorrection in younger candidates, it is possible that teenagers seeking for professional education in military schools or athletes can undergo excimer laser correction earlier. If there is no other pressure, like the above activities, it is better to wait until the 21st year because at an earlier age myopia is statistically more possible to evolve. As we get older after 30 and approach early 40’s prebyopic changes start to reduce our ability to read and therefore the longer we wait the less time we have to feel free from glasses for both our far and near visual activities. So it is better not to wait too long for the decision. On the other edge of the spectrum older candidates are not contraindicated to undergo excimer laser correction unless general or ophthalmic pathology prevents them from doing so…refractive target for patients in their 40’s , 50’s or even 60’s is to leave them slightly myopic ( about –0.50 D) or to create mono vision. In mono vision the dominant eye is corrected to plano, for far vision and the non dominant is being left with –1.25 to –1.50 D, for near vision. Prerequisite is that the above refractive state is accepted by the candidate. Excimer laser surgery is a very easy procedure and not real surgery. Fact: Lasik or PRK correction is definitely a surgical process. Risk for side effects always exist, as it is true for all surgical procedures. Even if excimer laser correction is a superficial and not intraocular intervention it is still being performed on healthy eyes of healthy individuals usually in the active phase of their lives. This creates the need of having accurate, reproducible outcomes and happy satisfied patients without eyeglasses or contacts. Excimer laser surgery is a very dangerous and risky procedure. Fact: Today a lot of published clinical studies involving a large number of patients have proven that the possibility of severe complications is extremely low and maybe lower than the risk of contact lens usage… Moderate glare and eye dryness are the most common side effects immediately following excimer laser surgery but are usually transient and typically last up to the third or sixth postoperative month. Modern excimer laser algorithms and aspheric ablation beam laser profiles actually reduce glare. Excimer laser surgery creates permanently dry eyes. Fact: As already mentioned before eye dryness in the vast majority of cases is transient and diminishing and there is no evidence that excimer laser leads to permanently dry eyes… lasik has a tendency to create a mild dryness because the corneal nerves are cut due to flap formation. Patients with insisting postoperative eye dryness actually had it before excimer laser correction . After excimer laser correction, glasses will never be needed again. 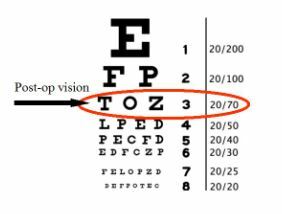 Fact: The majority of patients (95% ) can achieve 20/20 uncorrected vision or within one to two lines of the 20/20 line on the eye chart. Such accuracy frees the patient’s dependence on glasses or contacts for everyday activities. 3) or simply because of the patient’s unwillingness to undergo again a second surgery. From my experience the patient’s denial is the most common reason. The patients fully realize during preoperative consultation the statistics of the refractive procedure itself (accuracy, risks). a) Never want to wear glasses again and never want to undergo retreatment again. b) Since they are healthy they do not really understand the possibility of risks. 1) Missed refractive target (significant undercorrection or overcorrection). 2) Future change due to regression or refractive change with time. 3) Complication that can be reversed ( prolonged healing, eye dryness, night glare) Moderate night glare and dry eyes are common side effects immediately following excimer laser correction , but are transient and usually last just up to third or rarely sixth postoperative month. The patients fully realize during preoperative consultation the statistics of possible future ocular pathology development unrelated to excimer laser surgery. Fact: Actually they do not. a) It is hard for them to understand that their myopic eye structure predisposes them , statistically speaking, to future pathology like glaucoma, retinal detachment or even early ‘myopic’ cataract formation. The patients believe that ‘myopia’ has been fixed with all its related problems. I will have 20 / 20 uncorrected Vision or even ‘super’ vision. Fact: This is 95% sure and for a long but finite interval time ( as mentioned before). Higher myopes are less probable to achieve 20/20 vision because the amount of corneal ablation required to correct their refractive error affects the possibility to achieve 20/20 vision postoperatively. Most patients requiring extensive corneal ablation, result in a significant improvement in their visual aquity, but are less likely to have 20/20 vision after LASIK in comparison to “patients “ with lower refractive errors. Fact: ‘Super’ vision of course does not exist. What actually exists is a postoperative vision better than the one with glasses or contacts before laser correction, which occurs in 32% of the cases for a unspecified finite period of time. This happens if the refractive procedure has been perfectly performed, by using ‘state of the art’ techniques, after careful selection of the candidates. This nice result is dynamically being changed with time though, because the optical system of the eye changes as well as the patients themselves notice. Customized techniques like wavefront or topography guided Lasik had been used in the past promising ‘Super’ vision. Today they are used only in a few cases especially in retreatments, because no significant advantage has been found comparing to standard Lasik using modern wavefront optimized ablation profiles. Fact: Technology matters. Newer excimer laser units with advanced algorithms produce better results. In addition, modern lasers can correctly register eye position in 3 dimensions and track the eye in all the possible directions of eye movement. Furthermore I have to underline that not all lasers are capable to perform certain techniques like transepithelial PRK. There are a number of laser options available that can be used to treat a patient’s refractive error. After proper and thorough evaluation, the refractive surgeon can choose the most appropriate method of correction and laser unit needed. Surgeons who have access to a wide variety of laser options, ensure that their patients are treated with the type of laser best suited for their refractive problem. Should women have no further births in their mind before undergoing excimer laser surgery? Should women women give their child caesarian and not natural birth after excimer laser correction? Will you develop retinal detachment? Should you forget your regular eye exam after excimer laser procedure? What information of their preoperative eye history should the patients keep in their files? Women must have no further births in their mind before undergoing excimer laser correction because their myopia will increase in case of pregnancy. Fact: Statistical possibility for myopia increase is a function of two factors. The age and the degree of myopia. The younger the age and the higher the myopia the more possible is that myopia will increase Small levels of myopic shift during pregnancy has actually been reported due to hormonal changes but after delivery myopia returns usually to pre pregnancy levels. After excimer laser correction women should give their child caesarian and not natural birth , because of retinal detachment risk. Fact: Obviously excimer laser has nothing to do with retinal detachment risk, but the presence of untreated peripheral myopic degenerations like retinal tears in a myopic fundus has. Patients after excimer laser correction can not wear contact lenses if needed due to myopia regression or new myopia development. Fact: There is usually no problem wearing soft contact lenses even after high myopic corrections. Some patients actually wear plano color-changing contacts for cosmetic reasons only. Specially designed reverse topography or hard contact lenses are rarely necessary. Fact: Unaffected candidates actually prefer PRK. It mainly depends on how the doctor describes the procedure process during consultation and on candidate’s web research. 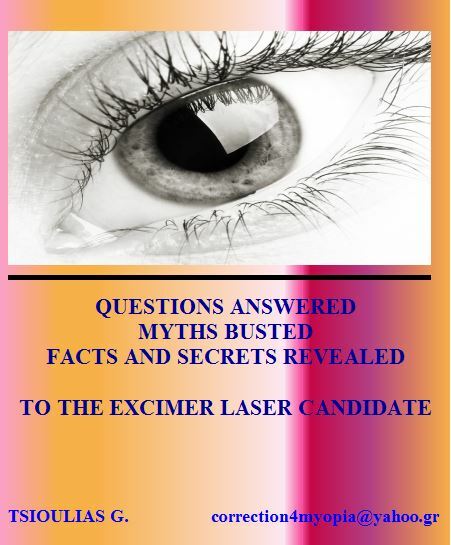 Fact: Excimer laser correction and especially Lasik is not considered to be an independent risk factor for retinal detachment creation…on the other hand myopia is a well-known risk factor for rhegmatogenous retinal detachment and contributes more to the development of RD in myopic patients after refractive surgery, rather than refractive surgery itself. After excimer laser mission accomplished… I forget my regular eye exam. Fact: Ocular pathology may develop irrespectively of excimer laser surgery…the patients should not forget that were myopes before surgery and they will still be myopes in eye structure after the surgery. The excimer laser has acted only like a curvature change on the front corneal surface to remove myopia in a refractively speaking way. That’s what the patients don’t realize. Myopic structure is the actual risk factor for developing future pathology like RD, glaucoma or early myopic cataracts. Ophthalmologic history will be very useful for intraocular lens measurement after a lot of years when age related cataract evolves and cataract extraction will be needed. Fact: Refractive candidates should understand that presbyopia can not be corrected . If they have myopia and undergo excimer laser correction the time will come when reading glasses will be needed…This is especially true for prepresbiopic low myopes in the late 30’s 0r early 40’s who after excimer laser will definitely be dissatisfied. High myopes feel satisfied because of the fact that their high myopia made them dysfunctional and they don’t mind using glasses to read. Presbyopia surgical correction is the next target of refractive surgery. 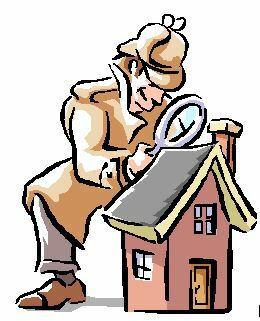 Active accommodation cannot be restored because of the ageing process. Procedures inducing pseudoaccommodation through monovision, corneal multifocality, corneal inlays or intraocular surgery with multifocal intraocular lens insertion are used. Everybody wishes that anatomical difficulties would be overcome and that surgical correction of presbyopia would become a reality some day. For the time being, monovision alone on the non dominant eye is the most accepted approach ,provided that the patient’s brain accepts it. Multifocal Intraocular lenses have drawbacks. The other methods are still under clinical or experimental evaluation. Presbyopia is a fact of life. Even if a plethora of different methods exists they have not yet been widely accepted. We need, of course, to be open- minded and skeptical at the same time. After a little web research everybody easily notices the Lasik dominates. PRK is the poor relative. A closer and more objective look demonstrates PRK unique advantages in comparison to Lasik! So we deserve to give PRK the benefit of the doubt. Is an excellent technique less promoted in the internet, but with slower visual recovery when compared to Lasik and sometimes with prolonged healing phase, which may worry the patients. This is the reason why PRK needs closer follow up than LASIK and doctor’s knowledge of the corneal healing. PRK needs the patient’s compliance during the healing period. PRK is less invasive and more superficial tecnique and therefore safer because a corneal flap is not cut. It has the same excellent results like Lasik for myopia up to –7.00 D and for astigmatism up to 1.75 D (in this range belongs the majority of the patients). it is easier to perform compared to Lasik (it needs less operation). Patients accept it more easily because they do not feel afraid when they hear the description of the whole process. It is easier performed on stressed, non cooperative patients with great fears. It is easier performed on patients with difficult orbital anatomy or narrow interpalpebral fissure. PRK is the preferred technique on young patients, athletes, military personnel, policemen, factory workers exposed to increased danger for hitting their eyes when compared to Lasik because of the absence of the corneal flap. 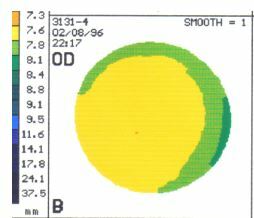 PRK is the preferred technique in cases with keratoconus suspect corneal topography. PRK is the preferred technique in cases with thin corneas due to less statistical corneal ectasia risk. PRK is the preferred technique induces less corneal aberrations due to the absence of corneal flap formation. Lasik is an excellent technique promoted stronger than PRK in the internet and its main advantage is rapid visual recovery. Lasik creates better refractive outcome than PRK in myopias higher than –7.00D and astigmatism higher than –1.75 D (in this range belongs the minority of the patients). Hyperopia , hyperopic astigmatism and mixed astigmatism correction should always be performed also with LASIK. It needs no prolonged usage of cortisone eye drops. Lasik is useful to patients unable to instill eye drops or afraid of the possibility of prolonged healing. It is convenient for both the patient and the doctor for different reasons. For the patient because of the rapid recovery. For the doctor because its follow up is easier than that of PRK. LASIK Is a more surgical technique. Even uneventful Lasik performed with the most advanced technology induces higher order aberrations because of flap creation…and the truth is that flap Microwrinkles may be visible after even after a perfect Lasik , in the best experienced hands. A sneaky ugly complication called ectasia is a condition where the cornea starts to bulge forwards after LASIK, causing irregular astigmatism. The condition is similar to keratoconus. Even if all indications are strictly followed, ectasia may occur. We do not know the exact pathophysiology and its mechanisms. And therefore we cannot fully protect from ectasia. The worse is that Pregnancy may trigger late onset of tectasia after LASIK! Ectasia may appear also after PRK but at extremely low rates. Lasik is to be chosen only if the kind or amount of the refractive error demands it for the shake of the outcome. Lasik should not be chosen for reasons of impression or convenience in the refractive range where both techniques yield the same outcome ! What are the good (reversible), the bad (permanent) or the ugly (sneaky) side effects of excimer laser correction? The possibility of severe complications is extremely low. 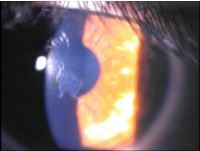 Moderate night glare , dry eyes and mild corneal haze are side effects following excimer laser correction, but are transient and usually last up to the 3d or rarely the 12th postoperative month. 2) Bad complications are irreversible side effects that lead to permanently reduced vision ( irregular astigmatism due to corneal ectasia, severe haze formation , irreversible flap complications or severe infection with corneal tissue destruction). Common denominator of all excimer laser complications is the creation of irregular astigmatism which is perceived by the patient as visual loss (central irregular astigmatism) in the worse scenario or as night vision deterioration in milder cases (peripheral irregular astigmatism). The best way to face the above complications is to avoid them by performing “a state of the art” operation after proper patient selection and by following them up closely. In the actual case of a complication, prognosis is a function of the kind and severity of the complication. Ugly complications are hard to treat with ectasia being the worst complication of them all (mainly a Lasik side effect). Corneal ectasia is a complication that is estimated to occur following 1 in 5000 or less of LASIK procedures. It may result in increasing myopia and astigmatism, loss of visual acuity, steepening of the corneal curvature, and topographic asymmetric steepening of the inferior corneal curvature. 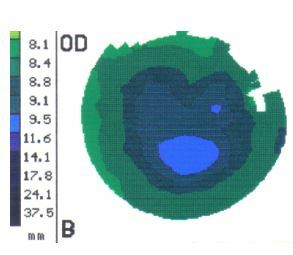 Irregular topography after Lasik. What does the FDA website on LASIK state? It is obvious that these procedures are very commercial . A lot of refractive Candidates wonder why two or even three different eye surgeons have different approaches to the way they choose to correct a certain refractive error… The Candidates are then confused and they complain because they do not really know which approach would be the best for them. For example, when refractive surgery procedures are listed, Lasik and PRK should not be followed by phakic intraocular lens insertion, clear lens extraction or corneal inlays as an easy to choose alternative …This creates the misleading impression to the candidates, that they can actually pick up a more surgical procedure with the same degree of acceptance and easiness as Lasik or PRK. It must not be forgotten that refractive surgery candidates are healthy individuals with healthy eyes and usually younger than 50 years old. Modern marketing promotes cosmetic type surgical procedures like commercial products. Excimer laser candidates have the wish to get rid of their glasses in their minds and therefore are willing to undergo the procedure, although deep inside they do not feel like patients and definitely do not want to become a real one ever! What should the refractive candidate not forget? Today refractive surgery is well known because of Excimer laser. It is very important to understand that the moment the candidates express their wish to correct their refractive error they also trigger the doctor’s plans to perform some kind of refractive surgery on them. Always the candidates should remember that in case of difficult borderline refractive cases the best and safest solution is not to DO ANYTHING AT ALL. You have not become an excimer laser patient yet…and you don’t want to become a real one . The other refractive procedures were not the main reason for refractive surgery success story, the excimer laser was. The candidates should not be convinced. The patient should be fully informed about the statistically expected refractive postoperative outcome, which is a function of the patient’s age, the kind and amount of the preoperative refractive error. Postoperative patient satisfaction is determined by a variety of factors, including the amount of the patients’s preoperative refraction, the initial BCVA and the patients’s expectations. Inaccurate information or pretified promises may lead to a dissatisfied unhappy patient. For how long does the good outcome last? The possibility of severe complications is extremely low. Complications occur when surgeons operate on patients who are not appropriate candidates. Excimer laser results are exceptionally good, if and only if the guidelines are followed and if the refractive target remains within the proper indications …The truth is though that one very sneaky complication exists. It is late onset corneal ectasia which occurs after Lasik in patients with no preoperative findings of any pathology and may appear years after the surgery especially in women during pregnancy. 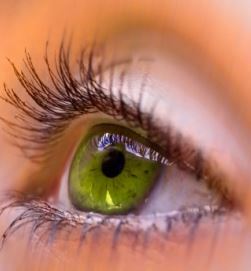 It is a rare Lasik side effect which occurs at some point in the future while the patient has forgotten that he had undergone excimer laser Lasik correction. What should the patient do afterwards? The patients should keep important information of their preoperative eye history in their files. They should also undergo the proper eye exams regularly. Ocular pathology may develop irrespectively of excimer laser surgery. The patients should not forget that they were myopes before surgery and they will still be myopes in eye structure after the surgery. Refractive candidates should understand that presbyopia cannot be corrected . I do not understand why ophthalmologists wordwide insist on believing that they can actually correct presbyopia and strongly promote this fault belief? Is PRK the poor relevant of LASIK? It is very important for the candidate to decide whether he wishes to undergo PRK or Lasik…The fact is that unaffected from the internet pages or from commercial promotion, candidates actually prefer PRK. A closer and more objective look demonstrates PRK unique advantages in comparison to Lasik! PRK is an excellent technique, with slower visual recovery when compared to Lasik and sometimes with prolonged healing phase which may worry the patients…this is the reason why PRK needs closer follow up than LASIK and doctor’s knowledge of the corneal healing. It also needs a patient’s compliance. Lasik is an excellent technique promoted in the internet with rapid visual recovery but it is more invasive than PRK. Lasik should not be chosen for reasons of impression or convenience in the refractive range, where both techniques yield the same outcome. In the rare case of complication, doctor and candidate wish they had chosen PRK! Lasik is to be chosen, if the kind or amount of refractive error demands it for the shake of the outcome. Am I eligible for excimer laser refractive correction? Your physician should ensure you that you are not contraindicated to undergo excimer laser correction. Do I belong to the optimal range of refractive errors that should be treated with excimer laser? 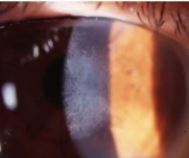 Your physician should ensure you that your refractive problem can be successfully corrected and inform you not only about your statistically expected refractive postoperative outcome but also about its expected future change. Is it better for me not to DO ANYTHING AT ALL? What is your physician’s strategy to achieve a long lasting refractive outcome? Your physician should have the proper refractive strategy in his mind so that your chances of achieving your freedom from eyeglasses would last for at least 10 to 15 years. What are the dangers, risks and possible complications? Your physician should explain to you, without the fear to lose you as a patient, all the possible dangers, risks and complications of the chosen refractive technique. Your physician should have access to a wide variety of laser options to ensure that you are going to be treated with the type of laser best suited for your refractive problem. PRK or LASIK? And why? Your physician should thoroughly explain to you in a simple, clear and convincing way the reasons for choosing the one or the other technique. Is my refraction actually stable? Is everything going to be absolutely fine, shall I throw away my eyeglasses and contacts? Should I wait to undergo excimer laser correction later? Do you fully realize the statistics of the refractive procedure performed on you for your special kind and amount of refractive error? With what risks? With what accuracy of refractive result? For how long this result will last? Will you ever forget your regular eye exam after excimer laser procedure? 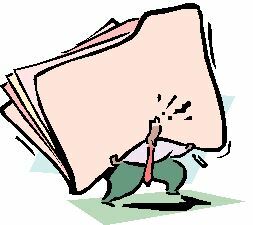 What information of your preoperative eye history and postoperative status should you keep in your records? Ophthalmologe. 2010 Sep;107(9):863-72; Ness T1, Paulus W.
3) Surv Ophthalmol. 2009 Jul-Aug;54(4):433-40Posterior segment complications of laser in situ keratomileusis (LASIK).Mirshahi A1, Baatz H.
4) Regression and its mechanisms after laser in situ keratomileusis in moderate and high myopia. A. Chayet, K. Assil, M. Montes, M. Espinosa, A. Castellanos, G. Tsioulias. Ophthalmology, 1998;105:1194-1199. 5) Pregnancy may trigger late onset of keratectasia after LASIK. J Refract Surg. 2012 Apr;28(4):242-3Hafezi F, Koller T, Derhartunian V, Seiler T.
6) Late onset corneal ectasia after LASIK surgery.Said A1, Hamade IH, Tabbara KF. 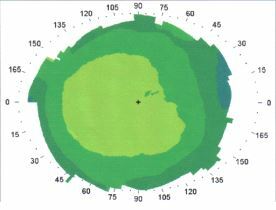 7) «Corneal topography.Present and future. 9) Barbara R, Abdelaziz L, Pikkel J, Barua A, Garzozi H, Barbara A. Late Onset Post-Lasik Ectasia. Int J Kerat Ect Cor Dis 2012;1(3):190-195. 10) Karmel, Miriam; The Thick and Thin of Ectasia; EyeNet Magazine 2008. 11)Clin Ophthalmol. 2013;7:93-8. doi: 10.2147/OPTH.S38959. Epub 2013 Jan 10. Increased preference of surface ablation over laser in situ keratomileusis between 2008-2011 is correlated to risk of ecatasia.